I’m Senior Product Manager, IMS (IP Multimedia Subsystem) Services. I manage our IMS Exchange platform, which provides an interoperability and routing platform for disparate IMS networks and supports next-generation services such as VoLTE, ViLTE, and revitalized RCS. I’m based at Syniverse’s headquarters in Tampa. Since 2014. 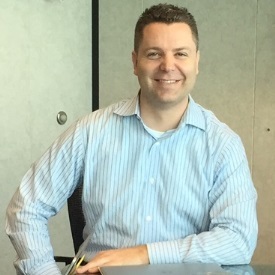 I started as a Solutions Manager on our Strategic Solutions team, shortly after Aicent merged with Syniverse in 2014, and I later transitioned to the Product Management organization to spearhead the rollout of our IMS Exchange offering. I’m currently rolling out three new enhancements to IMS Exchange to support the interoperability of RCS (Rich Communication Services) for one of our large Tier 1 customers. I’m also working closely with our Messaging team to refine our RCS A2P product offering. Our IMS Exchange platform addresses a critical need for operators by helping them more quickly and cost-efficiently implement IMS-based services, like RCS, and VoLTE. IMS offers an extremely versatile, open-standards-based architectural framework for delivering IP services. Interoperating disparate IMS networks can be complex and costly for many operators to self-manage. To address this, IMS Exchange offers a relatively quick and cost-efficient solution to put in place for operators to quickly reach other network subscribers and maintain the same rich experience. The proliferation of mobile is global and is profoundly changing our world. Always being connected changes every aspect of life and business, including everything from sales enablement, to content marketing, to customer relations, to shopping, to communication with friends and family. Mobile is here to stay and will continue to revolutionize our lives. Every time Syniverse closes a deal with a customer for IMS Exchange, of course! More seriously, one of the more memorable accomplishments was taking the forerunner of IMS Exchange, an IMS interoperability hub, from ideation to production. Eventually given the product name of IMS Exchange, this platform was rolled into production in December 2014. During the past two years, it has quickly evolved and now supports many facets of IMS traffic profiles, such as RCS hubbing for P2P and A2P traffic, VoLTE and ViLTE interconnect, and IMS local breakout roaming. The people, without a doubt. Not only is the environment friendly and collaborative, but I have the opportunity to work with so many colleagues who are driven to see the company succeed. It’s inspiring to be with like-minded people, and it confirms the cultural change that is taking place in our company as we prepare for new and emerging opportunities across the fast-moving technology industry. I currently use a Samsung Galaxy S8. I’m an Android fan, and Android is also VoLTE-capable and RCS-capable, which are important to have for my areas of focus. Use what you do, I say! My two most used apps are Skype and YouTube. Skype keeps me connected to my wife and son in the Philippines when I can’t be there with them. I use YouTube as my personal university to learn more on everything from how to improve my product marketing skills to how to weld a fire pit. Hanging out with my kids and family, fishing, and being outdoors. 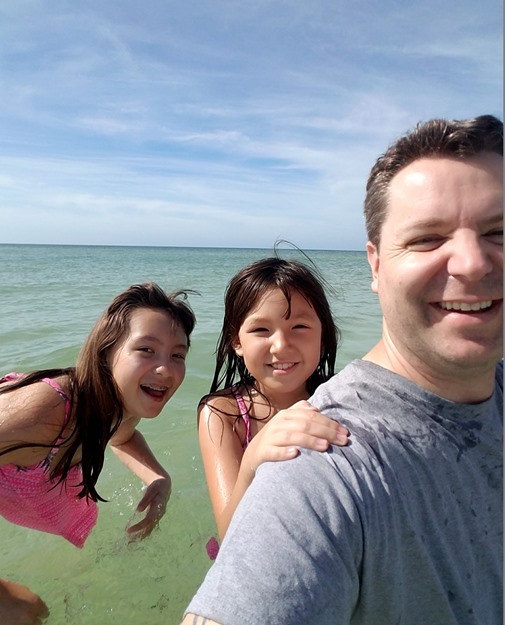 With my daughters, Anastasia and Alisha, at Anna Maria Island, Florida. 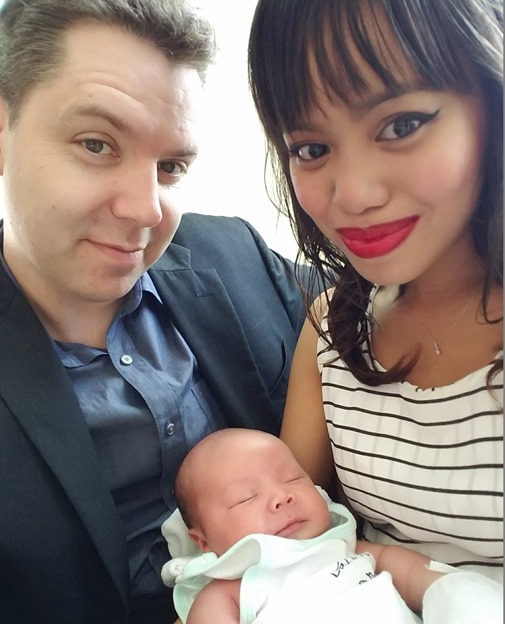 Me and my wife, Janeth, with our son, Faron Vaughn.